Congratulations on your upcoming wedding. I’ve put together a small pitch for you to read and hopefully won’t take up too much of your time. You’ve mostly likely found me from a random internet search or a post on social media but hopefully through a friend. What I do is capture weddings and I’ve been doing that for over twenty years now. My style of photography is no filters and as true and accurate in regards to color and exposure as possible. It would be far too easy to download a five dollar preset and throw it over all my images and call it “my style”. I want to make sure you can revisit your wedding day with vivid imagery and fond memories. I offer full day coverage verse a set number of hours because I wouldn’t want to have you pack all the memorable things you’ve planned out into a six hour time block. I’m yours for the day, within reason of course. That means that I’ll be there to capture some of your getting ready until last dance, usually limited to around ten hours or so give or take. The whole day is covered in a journalistic or more commonly known as a candid style. I do however make everyone buckles down following the ceremony to get those traditional photos of your family, the bridal party and just the two of you. We’ll also have an easy wedding day because we’ve spent so much time together. What I mean to say is all of my weddings come with an engagement session. The engagement session is our chance to get to know each other but also work through different poses for your wedding day. The engagement session can be wherever you like and is really just practice for the big day. This also helps guarantee that we all stay on time and the chicken doesn’t dry out and the DJ doesn’t have to cut any songs from their playlist. You can also use these photos from your engagement session for your RSVPs or save the dates. I also include a brag book following the engagement shoot for you to… brag about your photos. All the photos from your engagement session to your wedding day come to you via an online gallery. You can view, share, download or order prints directly from your own personal gallery. After your wedding day you’ll get to wake up to a dozen or more photos of your wedding day sent to your phone and also e-mail. This way you can brag about your wedding asap. The final wedding photos are finished within a few weeks, not months. You’ll also get a keepsake custom wooden flash drive to safely store your photos away from your computer just in case. Following the wedding you’ll have an online gallery of your wedding photos. The next step is selecting your favorite photos for your wedding album. Once you select the photos I deal with the task of building your wedding album and getting it out to you. I always suggest that people keep this option of having a wedding album. When you do get an album you’ve seen it in person and know how it feels in your hands, the quality, the weight and how beautiful the pages look. When you choose not to get an album that leads to research after the fact into which company you’ll order from, what the quality is and hoping it doesn’t show up thinner than a children’s book. My standard album is a ten by ten lay flat style with twenty four thick rigid pages. There’s always options for upgrades later but this is pretty damn good to start. You can start picking out your photos as soon as you receive a link to your online gallery and from there it takes only a few weeks to receive your album. When you select me for your wedding you’re choosing someone who does this for a profession, someone who cares and who can help you through your wedding day. You’re not just having a photographer show up, you’re having a professional in the room that’s been to hundreds of weddings guide you through the day. Click here to contact me and set up a meeting. No two weddings are the same. What you’re looking for in a wedding package and how many guests and where you're getting married will reflect in the final price. Typically most weddings receive a discount from this starting total. Example: You don’t want albums, you save money. Only sixty guests at your wedding, the price is adjusted accordingly. Call today to get a price right over the phone. Coverage from start to finish. Getting ready photos through last dance. Your day planned out the way you want, not around my schedule. Journalistic & traditional wedding photography. Over twenty years of experience in wedding photography. Teaser photos the night of your wedding. On location where you you want. Your backyard, the beach, parks or cities. No set time limits for this session. Most sessions finish in two hours. Whatever outfit changes you want. The goal is to get the most of the shoot. Get amazing photos for RSVPs, save the dates and social. Work through basic posing and practice for your wedding day. Custom six by six brag book. You pick the photos and I design the book. Online gallery of photos. View, share, download or order. View your wedding photos on your own personal gallery. Photos typically ready in a few weeks, not months. Gallery is broken up into the different parts of the day. Getting ready, first look, ceremony, formals, reception. Share a link to a single image or the entire gallery. No need to download if you just want to share quickly. Order prints directly from the website. No hunting for places to make prints. This is mostly for the non tech savvy. 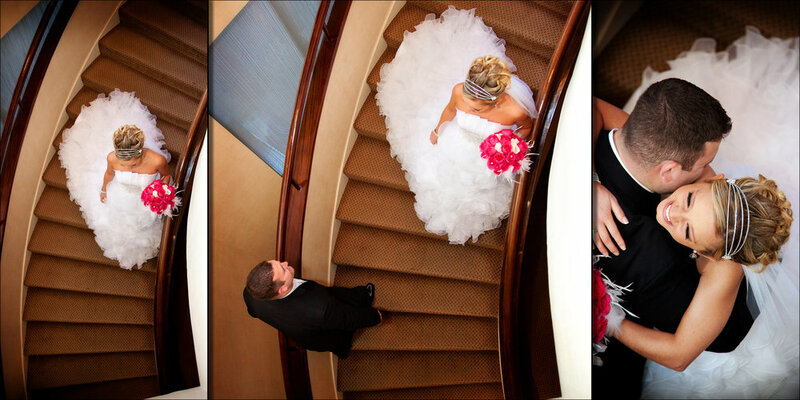 Favorite your top photos for your wedding album here or make selections for a new gallery for your family and friends. Custom wooden flash drive with my amazing logo. This isn’t for trips down to your neighborhood stores for prints. Safe keep your wedding photos in case of computer failure. I always maintain a copy though just in case. Ten by ten album with twenty four pages to start. Upgrades available, you can go as big as sixteen by sixteen with fifty pages. Lay flat design, no bowing in between pages. Images stretch from one page to the next. Thick and rigid pages make this album a pleasure to revisit your wedding day. You pick the photos, I design the album and ship directly to you; no extra meetings. Different angles of your wedding ceremony. See more of your wedding day through a second lens. Coverage for different locations when getting ready if needed. Eight by eight form factor with twenty four rigid pages. You pick out the photos, I design and send directly to you. Great gifts to thank them for a beautiful wedding day. Matching parent albums or individually designed.